Fushio-kaku is a luxurious Japanese style resort hotel with private onsen baths in Ikeda, relatively close from the center towns of Osaka. 20 guest rooms have different private onsen baths where you can relax and enjoy the view of the great nature of Fushio Onsen, Ikeda. Vip rooms with a private open-air bath are also available to book online. Fushio Onsen ('Onsen' means hotsprings in japanese) is located about 25minutes away from Osaka City. It is surrounded by nature such as mountains and a river. 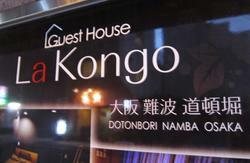 There are 67 rooms (20 rooms with Japanese style spa), a hot spring with a beautiful garden and sauna, banquet rooms etc. No-Curfew and No Lock-out. Last check-in is 11PM and public baths available from 6AM- midnight. Other facilities include convention rooms, Japanese restaurant, tea place, arcade games, Karaoke box, free parking space (300 cars), herb garden, and swimming pool (50meters / only in summer). Shuttle service from Hankyu Ikeda Station is available. Please make sure to call us in advance. 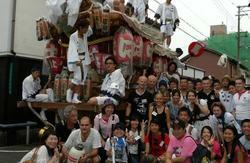 In the year 725 a Buddhist monk named Gyoki was directed by Emperor Seimu to open Kyuan-ji Temple. The temple and its Sakura-mon (two-storied gate) has become an important cultural asset, located only a 2 min. stroll from Fushioukaku. Toyotomi Hideyoshi was known to visit the temple and is also said to have started the popular moon viewing meets here. Kyuan-ji Temple was a very prosperous site during the blossoming of the rich green foliage in the springtime and the color turning of the leaves in autumn. Nisshin Foods Museum. See the exhibition of the shack where instant ramen originated and experience (reservations are required) what its like to make hand made ramen. This Shrine is where the Kureha deity can be worshipped and is the site of the first fiber god in Japan. The remains of Ikeda Castle, which was destroyed by Oda Nobunaga, has been developed into a park where visitors can enjoy a Japanese style garden and look out over the area using the observation deck. Satsukiyama Park is very popular spot, well known for blooming azaleas in the spring and the leave color changing in autumn. There are also hiking courses, Australian animals such as wombats and wallabies in the zoo and city forestation and botanical gardens. I thought Fushio-Kaku was a great get away for onsen (hot springs) and some great noodles, there is a noodle stand in the hotel. 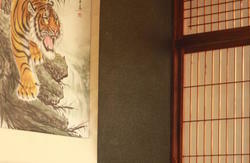 It has traditional style rooms and great service. It also offers massages and has an included breakfast that is very expansive but is traditional Japanese and may not be suitable to everyone's palate. The staff always has someone that speaks English but they are probably one of the few people in Ikeda that do. I think this is more of a resort for Japanese people that want to get away for a long weekend than for travelers. It is not good if you are going to be taking part in the Osaka nightlife because the last bus to the hotel leaves before midnight. It worked out well for me because it gave me a great place to relax and recover in the middle of my 2 week vacation for a couple of nights. Take a bus #26 or #134, 135, 136 from there. Get off at Fushio Bus Stop. We are located right near the bus stop.